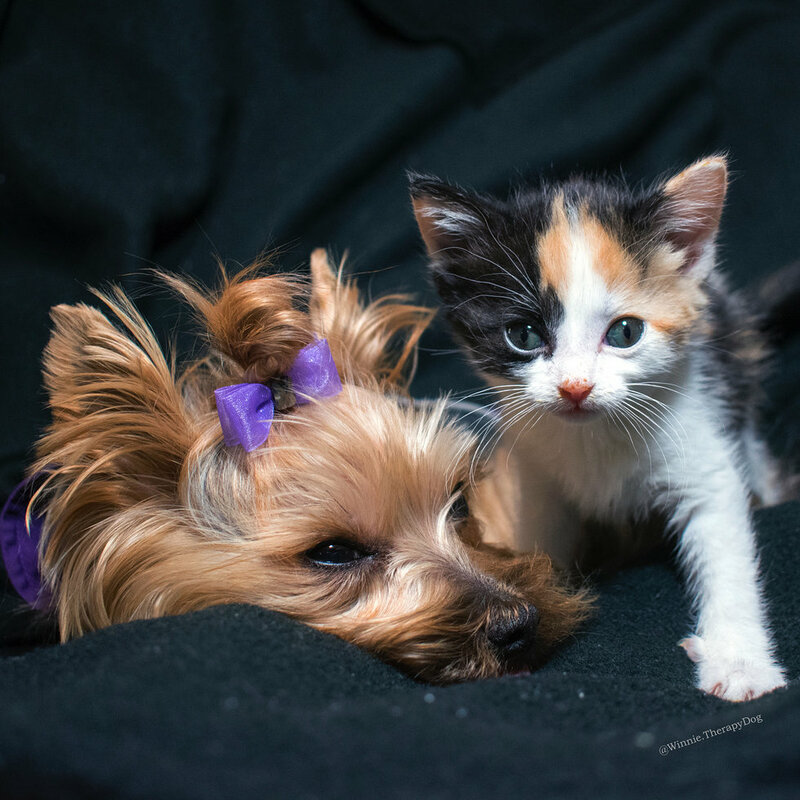 A 7-year-old dog named Winnie has helped her owner foster almost 20 motherless kittens. 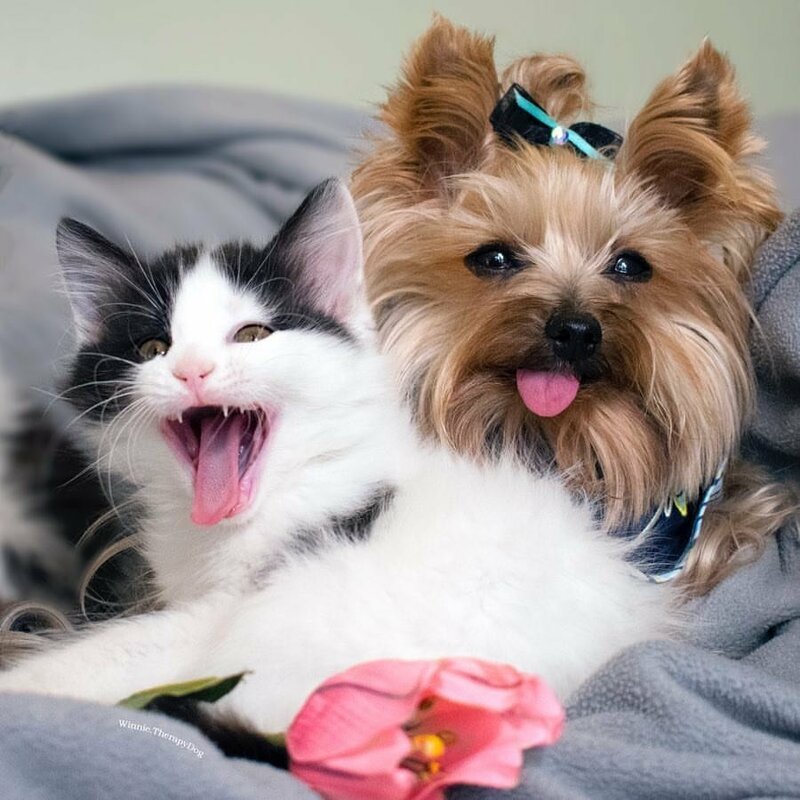 She is a therapy dog to little human patients at the Children’s Hospital, and now she’s doing the same to help feline babies in need. 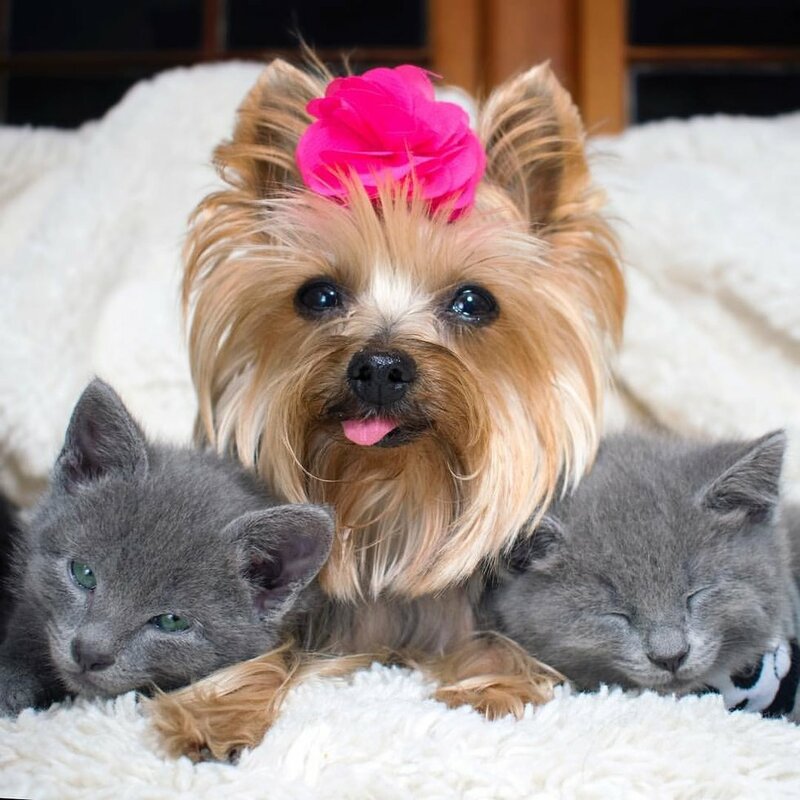 Winnie @winnie.therapydogCasaundra Maimone from Greensboro, North Carolina learned about fostering kittens when she was at a pet conference in New York City a couple of years ago. “I met Hannah Shaw (Kitten Lady) and her partner Andrew Marttila. 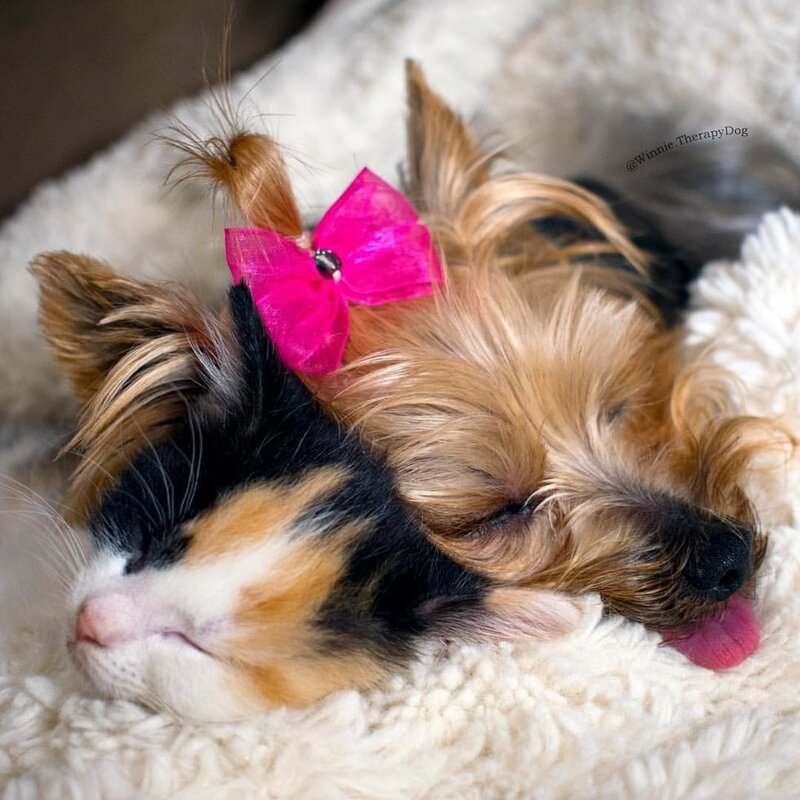 I knew absolutely nothing about cats or kittens,” Casaundra told Love Meow. 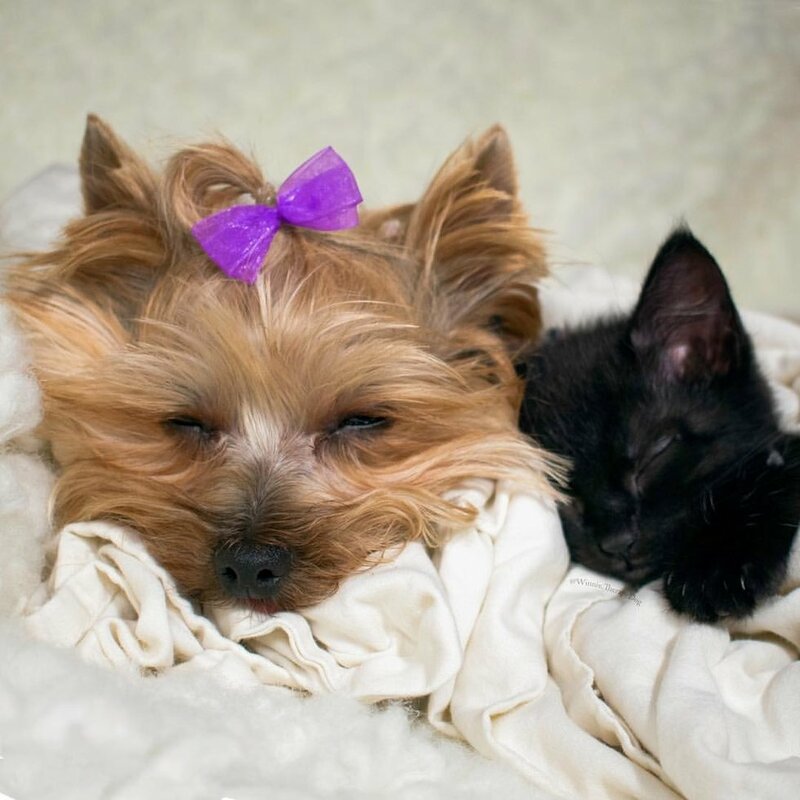 Winnie @winnie.therapydogWhen Casaundra brought home her first batch of orphaned kittens, the tiny bundles of fur were immediately drawn to Winnie and started snuggling and kneading on her while purring up a storm. “The kittens naturally gravitate to Winnie (and try to nurse from her at first) and she is very calm,” Casaundra added. Even the most scaredy kitty finds something so soothing in Winnie’s presence. They come out of their shells and cuddle up to her for an extra dose of TLC. 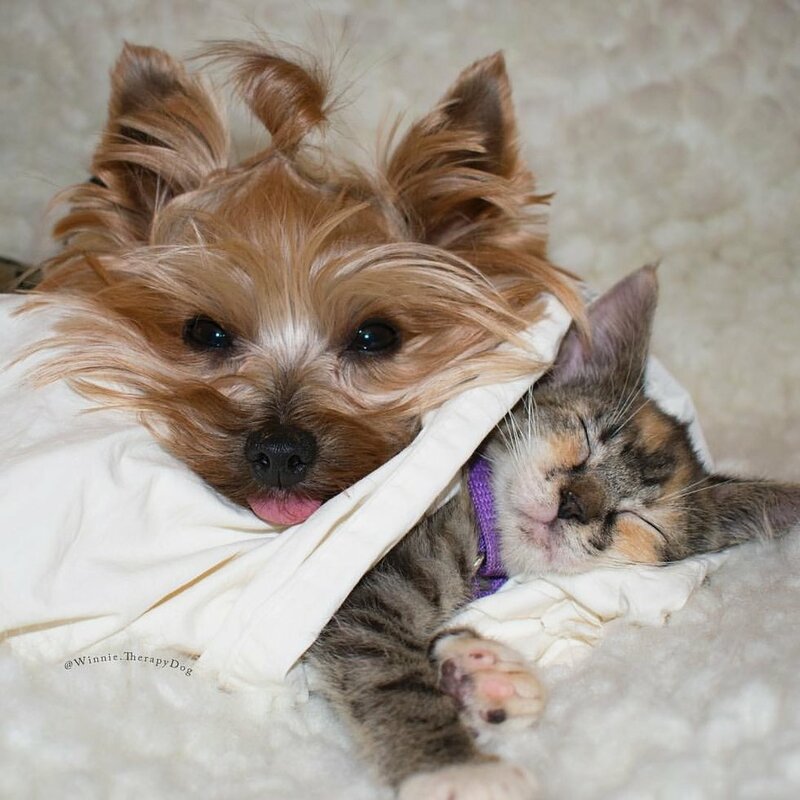 Winnie @winnie.therapydogOrphaned kittens crave comfort and warmth from a cat mother. When they meet Winnie, they stop crying and become less anxious around her as if their mother was right beside them. 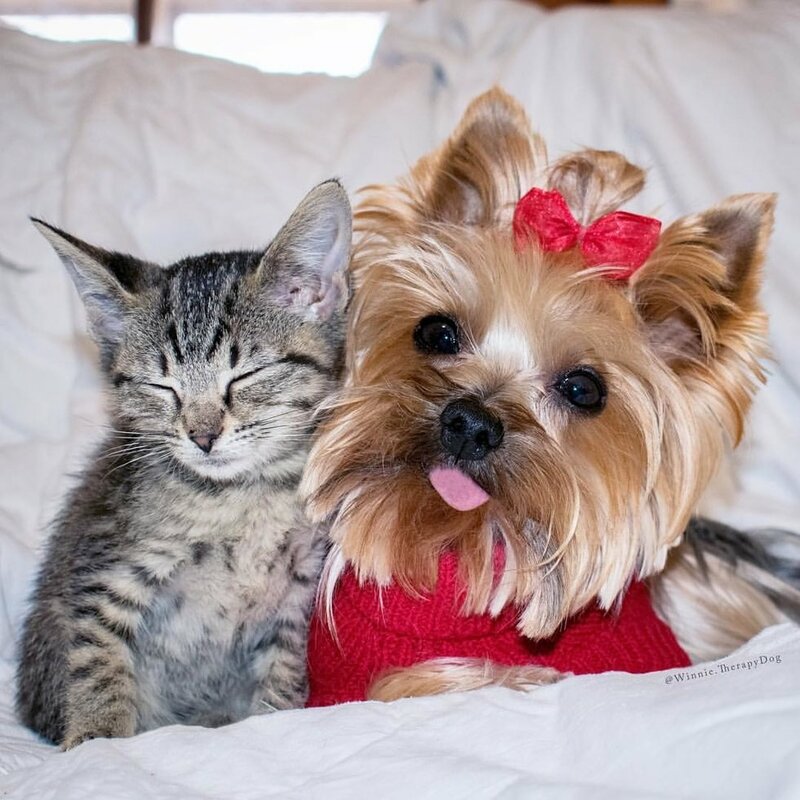 Winnie @winnie.therapydog“All of our encourage little cats appear to love snuggling with Winnie. She is unimaginably patient and appears to have a quieting impact on the cats,” Casaundra disclosed to Love Meow. Over the past year, Winnie has helped Casaundra foster almost 20 feline babies, all of whom are now happy and healthy living in their forever homes. 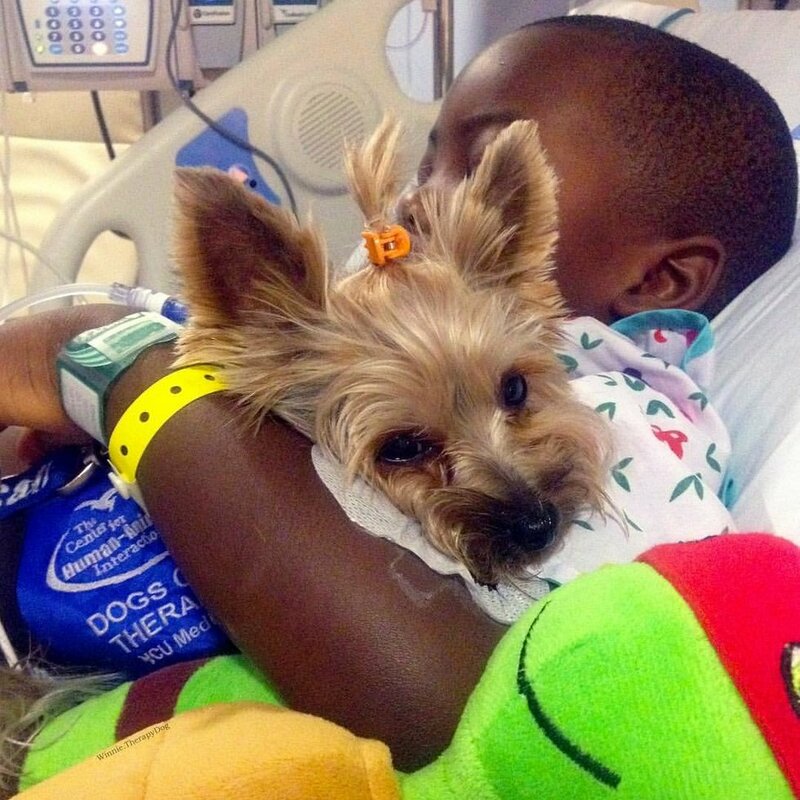 Winnie @winnie.therapydogWinnie proceeds with her work in helping minimal human patients at the Children’s Hospital and having any kind of effect in their lives. 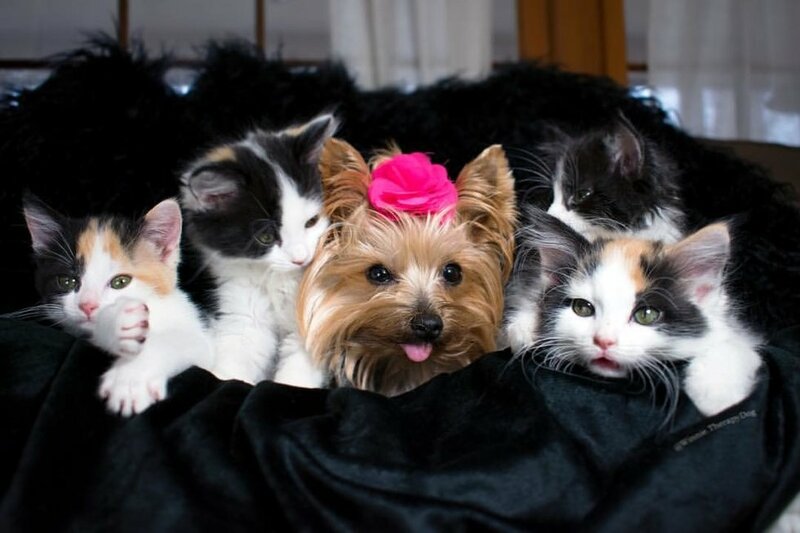 Winnie @winnie.therapydogFostering orphaned kittens has turned out to be a perfect fit for them. The positive change in the kittens is almost immediate as they find the comfort and love that they yearn for. 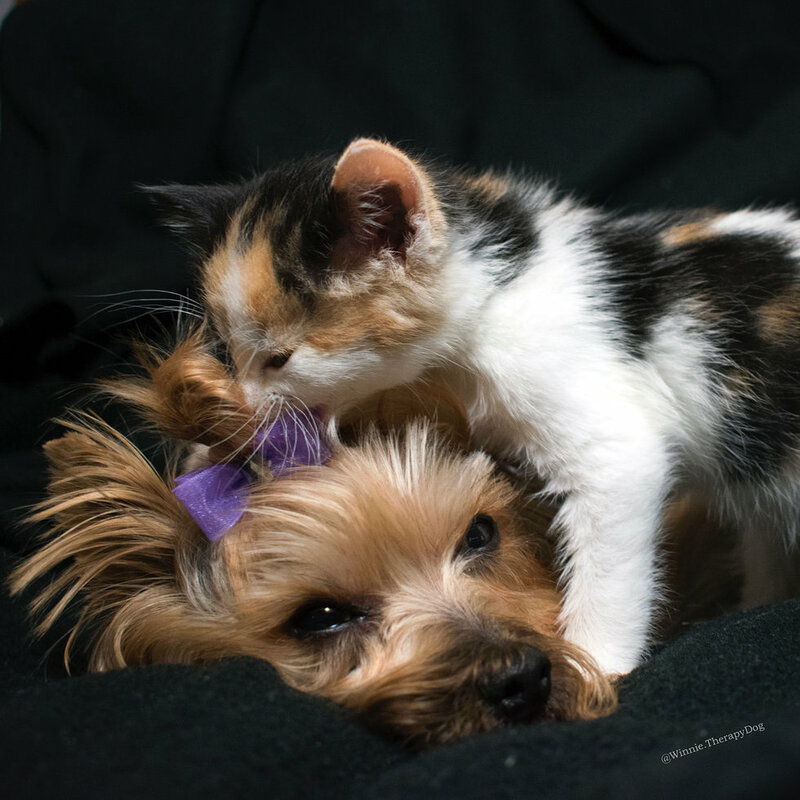 Winnie is always there for the kitties if they need a friend or someone to cuddle or nap with.